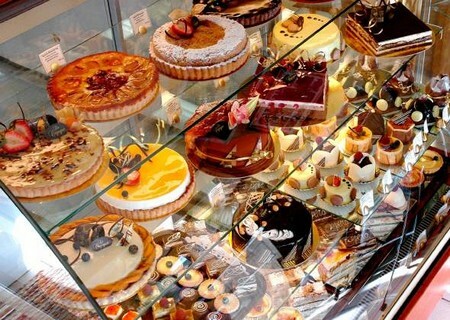 If you love baking, then starting a bake shop business can make a good business venture for you. Although you’ll get to share your passion and earn a profit, you will encounter many obstacles that you’ll have to overcome. Learn how to work as a smart entrepreneur to make your bake shop a success. Identify your vision for the bake shop by designing a business plan. Include the name of the bake shop along with details regarding your target market, start-up funds and marketing. List benefits and risks involved when running the business. Secure financial resources. Present your business plan to your local bank and secure a business loan. Ensure you have a detailed business plan, including financial management and a description of the bake shop. Otherwise, the bank will not approve any such transaction. Find a location. Research your area and find a location with heavy foot traffic. Ensure you set up shop near your target market. Check in with your local government and comply with all zoning laws. Renovate the location reflecting your vision. Acquire all necessary business licenses and permits. Contact your local government to learn what required documentation you’ll need to operate the bake shop. You will also need to check with your local health inspector and learn all the specific restaurant regulations and guidelines. Plan your menu. You will have to decide what types of pastries you will produce. If you have a flair for making cookies, try adding different kinds by adding more recipes. Start by selling small items and add more as the business grows. Keep in mind your target market when creating the menu. Decide on your price points at this time as well. Research local suppliers who can provide you with all needed ingredients. Ensure the supplier can provide you with fresh ingredients at the right price and can deliver on time. Purchase all baking equipment needed, such as ovens and other kitchen utensils. Visit your local kitchen store or even check online to see if they sell the equipments. Consider buying used equipment, but make sure they’re in good shape. Hire employees. Have a baking staff that can produce baked goods with your standards and possess the proper knowledge regarding the operation of baking equipment. Assign someone as the store front to welcome customers and provide great service. If you decide to allow special orders such as wedding and birthday cakes, hire an assistant to handle phone orders and schedule deliveries. Offer training to staff to allow the business to run smoothly. Build a relationship with other food businesses. Bake samples of your products and visit local coffee shops and other restaurants. Encourage these owners to allow you to sell your products in their shops with a slice of commission for their business. Contact party planners and wedding shops who might allow you to design their cakes for events. Market your bake shop. Prepare for a grand opening and advertise in all media publications if possible. Distribute flyers and brochures to which you attach a coupon for a free sample. As your business grows, consider creating a website from which people can order online.